Cinnamon Plumping Lip Oil Review 2018: Is it worth buying? Cinnamon Plumping Lip Oil Review: Is This Product Worth buying? Improve fluid circulation by inducing heat on the surface which, in turn, makes skin plump up. 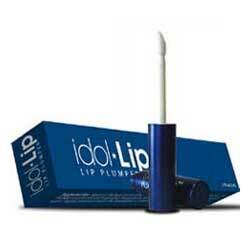 Alternating cooling sensation from peppermint causes your lips to become plumper. A rich combination of plant oils that includes castor seed oil and argan oil help boost lip hydration and antioxidant levels that enhance your lips’ moisture content and protection from further damage. Promotes prolonged moisture release that keeps your skin protected from the damaging and discomforting dryness. Formula is pigmented with a bright red that leaves your skin with a vibrant shade. 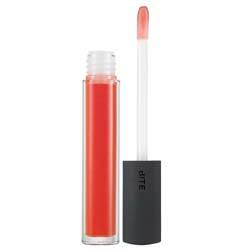 This product is made by Bite Beauty, a brand well known for using natural ingredients in its products. Trans-Resveratrol: Provides your lips with the protective power of antioxidants to help keep your lips protected from cellular level damage. Natural Olive Oil, Jojoba, and Argan Oil: Promote better lip moisture and creates a moisture lock and release system that helps keep your lips moisiturized over long periods of time. Cinnamon, Pink Pepper, and Peppermint: Stimulate lip swelling with the alternating feel of heating and cooling sensation this combination creates when applied to your lips. Bite Beauty Cinnamon Plumping Lip Oil must only be used on freshly cleansed lips. Apply generously with your morning and evening skin care routines, and reapply throughout the day for as often as you feel like reapplying the product. Product contains natural plant oils that give your lips a major moisture boost that lasts several hours following product application. Product does bot contain parabens, sulfates, phthalates and petrochemical by-products. Product delivers the combined benefits of a moisture boost and antioxidant boost. Tingling sensation resulting from product contact with your skin may be a sign of irritation, which is, in fact, what makes your lips appear fuller and swollen. The irritating effect of peppermint oil and pepper extract in the formula may cause longer-term, irreversible damages to your lips and the skin matrix underneath with regular and prolonged product use that can lead to chronic dryness and drive down collagen production. Formula is made mostly of skin moisturizing ingredients, offering little to no prospect for any longer-term beneficial product effect. Product is formulated only in a single vibrant shade of red which not many people may prefer on their lips. Bite Beauty Cinnamon Plumping Lip Oil is yet another lip plumping product that deliberately swells up your lips by causing it to become inflamed, irritated and swollen. Instant effects may be good enough but, you should be wary of longer term effects as well.